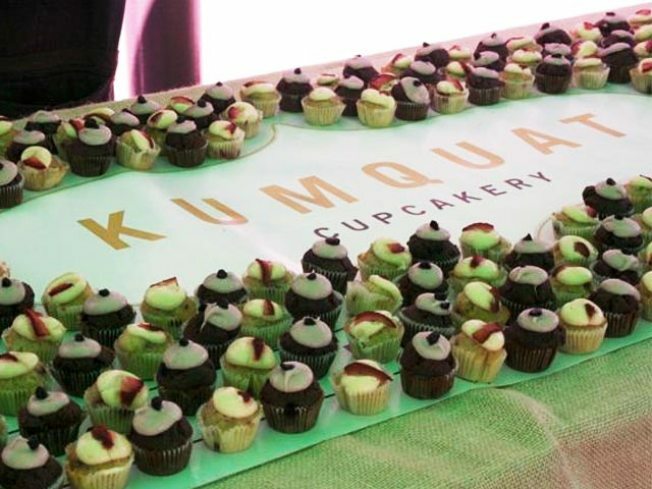 Kumquat Cupcakes will be at the Brooklyn Bounty event. KINGS’ RANSOM: Celebrate the Borough of Kings via a smorgasbord of artisanal, 718-brewed (and -grown, and -baked) samples from SCRATCHbread, Kings County Jerky Co., Kumquat Cupcakes (pictured) and more, as you jig to live jazz and bid on BK-themed prizes—it’s all part of the Brooklyn Bounty fundraiser for (and at) the Brooklyn Historical Society, starting at 6:30PM. HOMEMAKER: If you’ve ever dreamed of cornering Martha Stewart at a cocktail party and asking her to spill her secret to success – or pitch her your line of glow-in-the-dark potholders – now’s your chance: The domestic doyenne comes to FIT to give a business-focused talk at Reeves Great Hall, preceded by a schmooze session over amuse-bouches.Executive Women in Fashion Presents an Evening with Martha Stewart, 6PM. ’NAUT BAD: Andrei Tarkovsky's 1972 film Solaris is a delicately-paced psychodrama about a cosmonaut who comes undone on a mission and begins seeing his dead wife before him; not exactly feelgood, popcorn-pushing stuff, but it's a thoughtful meditation on the subjective nature of reality (and very, very Russian). The Steven Soderbergh remake doesn’t even come close. Anthology Film Archives, 7:30PM.